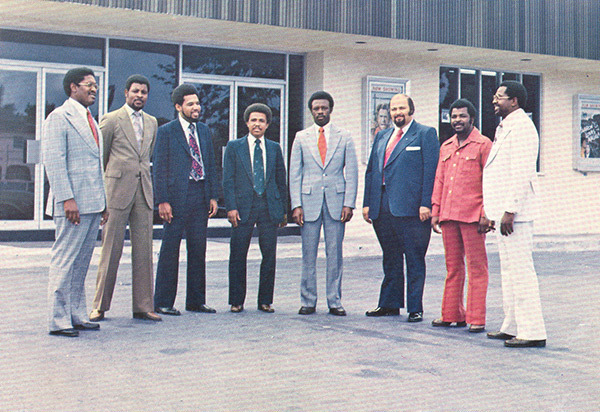 A group of young men, out to prove that Bahamians of humble origins could own and manage big businesses in The Bahamas, formed what is today known as Sunshine Holdings Limited (SHL). In the late 60’s, in a pre-independence Bahamas, these friends – some of whom had recently returned from college abroad – began to pool their resources with the aim of creating businesses. Prior to Independence, the business landscape was dominated by a powerful oligarchy known as the Bay Street Boys. The young men, eager to contribute to the country’s development, formed the Sunshine Theatre Limited. It became the corporate predecessor to SHL. As time passed, the same individuals were the catalysts for the formation of other businesses and corporate holdings. In each instance, the new corporate vehicle was to involve, without regard to race, gender or partisan political bias, an ever-increasing number of individuals desirous of pooling resources and cooperating. Within the business, and subsequently the wider community, the founders of the company became known as “The Sunshine Boys,” reflecting not just the corporate identity but also their youth and energy. SHL has since grown to become one of the leading diversified privately-held companies in The Bahamas with audited equity in excess of $120 million – an amount that exceeds all non-bank BISX listed entities. Guided by the value of investing in diverse enterprises, which contribute to the well-being of The Bahamas, SHL’s portfolio encompasses several business lines across multiple island locations. The company has a controlling interest in a diversified petroleum retail distribution network in The Bahamas and the Turks and Caicos Islands (TCI), and owns the country’s largest residential home builder along with one of the largest insurance brokers and a formidable boutique finance company. 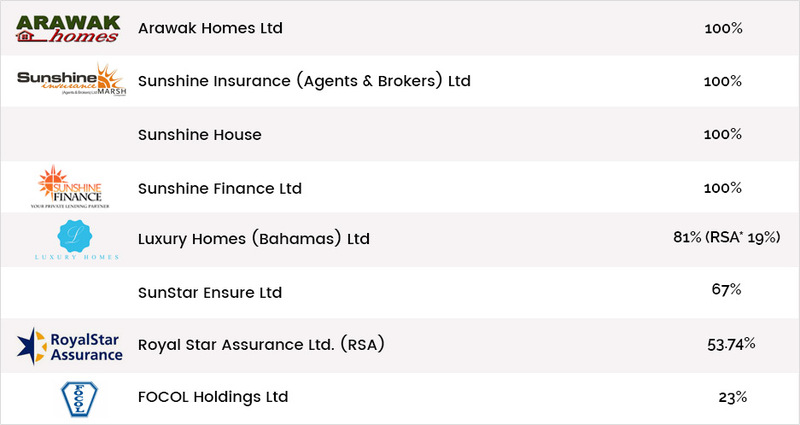 The enterprise is also the majority shareholder of RoyalStar Assurance, a general insurer in The Bahamas, which has received a financial strength rating of “A” from A.M. Best. RSA is also present in the TCI and the Cayman Islands. The civic contributions of SHL, and its chairman, Sir Franklyn Wilson reflect this same value system. A few of the many significant philanthropic initiatives include contributions of more than half a million dollars in tertiary level scholarships, being the founding and lead organizer of Sunshine Insurance Race Weekend (SIRW) comprised of Sunshine Insurance Marathon Bahamas and the Susan G. Komen Bahamas Race for the Cure®; title sponsor of the Shell Saxon Superstars since its acquisition of Shell; founder of Junior Achievement Bahamas and named the primary donor of the College of The Bahamas, now University of The Bahamas, (The Franklyn R. Wilson School of Business). Today, Sunshine Holdings Limited is a well-respected and financially strong entity.